Often our public and private conversations with God are “sugar-coated” and do not reflect the realities of our lives. In contrast, the early Hebrews voiced their sorrow, frustrations, anger and unhappiness to God in both public worship and private reflection/prayer through laments. Dare we yell at God and challenge God? Can our prayers, hymns, preaching, poetry, and art really articulate what is happening in our lives and the world? Is our God big enough to respond and is our faith such that we can be in real dialogue with God? This study is designed to strengthen our relationship with God and provide new avenues of expressing our realities. Joyce D. Sohl is the Laywoman-in-Residence at Scarritt Bennett Center. In this capacity she is working on spiritual enrichment opportunities, music and art events, and weekly worship experiences. 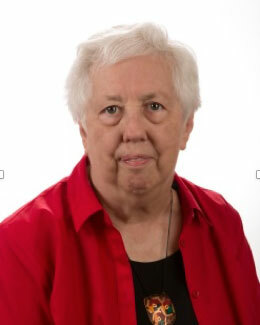 Joyce served as CEO of the Women’s Division ( now United Methodist Women) from 1991 until she retired in 2004. Prior to that she was treasurer of the division for 14 years. She is author of four books, teacher, inspirational speaker, lecturer, retreat leader, non-professional musician.